The most exciting time of our year is harvest time when the new season’s olive oil starts pouring from the press. But the freshest flavor extra virgin olive oil, called “olio nuovo” or “new oil”, is available only for a limited time and only in limited quantities. If you want to experience a truly unique and special treat this year, don’t miss out. Order now! We are happy to announce that due to repeated demand from our customers, The Olive Oil Source is now offering avocado oil. 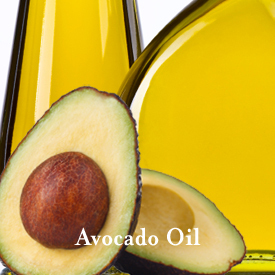 While it may seem like a surprising choice, avocado oil can be made using similar equipment to olive oil production. Our avocado oil is made with great care at our award winning mill at Figueroa Farms, using cold extraction and no chemicals. We are happy to bring you another product that is healthy and flavorful. 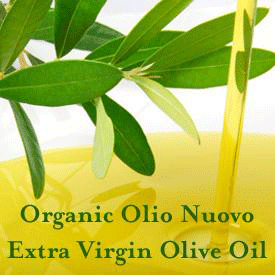 Like extra virgin olive oil, it is high in monounsaturated fats and natural tocopherols. It is also high in vitamin E. As a cosmetic oil, it is well known for its regenerative and moisturizing properties. We love it as a condiment, by itself or mixed with some extra virgin olive oil. We recommend it on salads, in guacamole, and as a finishing touch to sweet and sour dishes. As it has a high smoke point, it is also excellent for sauteing and cooking. For some cooks, it’s a challenge to swap extra virgin olive oil for butter in cake and quick bread recipes because they miss the unmistakable rich flavor that butter imparts to baked goods. 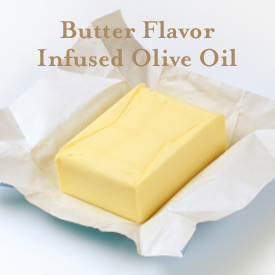 Now, with our new Butter Natural Flavor Infused Olive Oil, you can still keep the flavor intact but treat your family to better health by using this special olive oil in many of your very favorite baked good recipes. 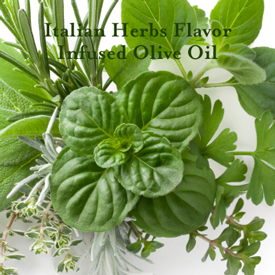 With all the wonderful flavors of Italian herbs already blended right in, our new Italian Herbs Natural Flavor Infused Olive Oil just requires the balance of great balsamic vinegar to make perfectly seasoned Italian dressing. Of course, if you want to kick it up a notch, you can always throw in a few finely-chopped herbs and a clove or two of garlic to add the freshest flavor.